PCWin Note: 3DJongPuzzle 1.78 download version indexed from servers all over the world. There are inherent dangers in the use of any software available for download on the Internet. PCWin free download center makes no representations as to the content of 3DJongPuzzle version/build 1.78 is accurate, complete, virus free or do not infringe the rights of any third party. PCWin has not developed this software 3DJongPuzzle and in no way responsible for the use of the software and any damage done to your systems. You are solely responsible for adequate protection and backup of the data and equipment used in connection with using software 3DJongPuzzle. Fruit Puzzle 3D - Fruit Puzzle 3D - an addictive puzzle based on the famous Lines game. One of the few games you'll always want to play just one more time. To Survive II - To Survive 2 is an addictive shooter game with great graphics. It features many different types of weapons that you can pick up from dead enemies, and two game modes: a sunny day or in the rain. Micro Station Defence - Freeware tower defense game by Card-Board-Games. Cyclanoid - This is a set of games and logic puzzles with various board sizes and controls to allow for easy, medium, or high skill levels. You can play offered games and create your own logic puzzles using built-in game builder. 1st Paris Puzzle Game Part 1 - Visit Paris. Enjoy "Choco CafÃ©", see Paris from Eifell tower, travel with parisien subway and watch the street artist in Montmartre... Easy to play and free! FlashEff Premium - FlashEff is a Flash CS3 AS3.0 component (by JumpeyeComponents) that upgrades TxEff Full License and MCTE Collection Plus, plus adding some major new features such as Filters and Buttons to configure interactive animations visually without knowing Act. Fantastic Walk Screensaver - Parallel realities are penetrated by frantically dancing fireballs. Realities too are not stable: collapsing, colliding but miraculously rearranging in logic order. But you can control this reality by pressing special keys on your keyboard! 2Mushrooms - The goal of 2Mushrooms is to find all mushrooms with maximum points. You points are decriased after any click on not discovered field. The game field is divided into cells. A cell can contain more than one mushroom. FindSame - The goal of FindSame is to earn as many points as you can by removing paires of the similar tiles from the board. 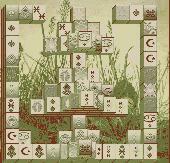 For earning points you need to select one tile and after that to select tile with similar picture. This pair will desappeare.